We have been contacted by Association AGAPE requesting our help for a mare in Saintes (dept.17) that will be going for meat if a home is not found before this Saturday. She is 9 years old and although she has never been ridden she is well handled. Her price is 950 €. 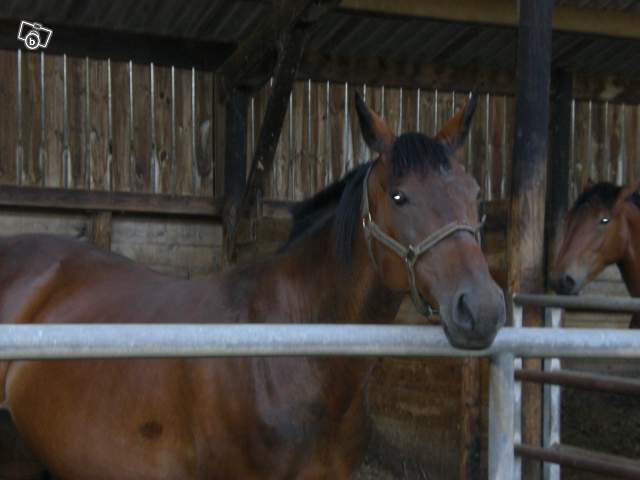 If you could offer this horse a chance please contact either agape@nomade.fr or us at admin@equinerescuefrance.org . UPDATE: Unfortunately we were unable to help this mare and so she left for the abattoir. If you are interested in either helping raise funds or adopting yourself, please contact us at admin@equinerescuefrance.org .